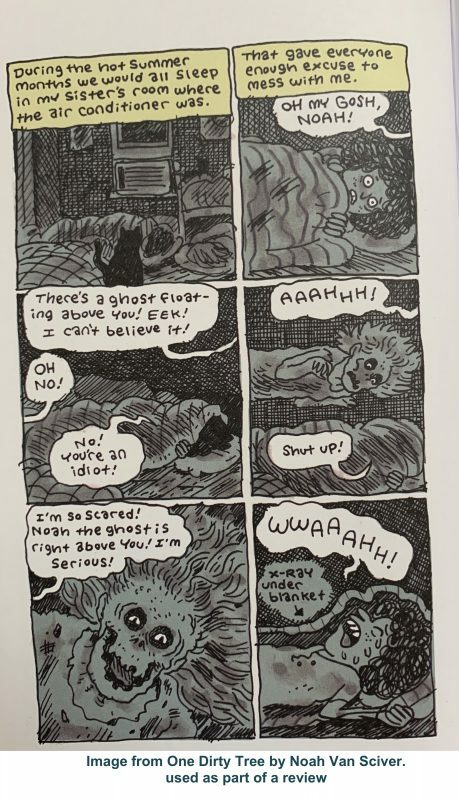 One Dirty Tree by Noah Van Sciver. Uncivilized Books, 2018. 9781941250273. 116pp. 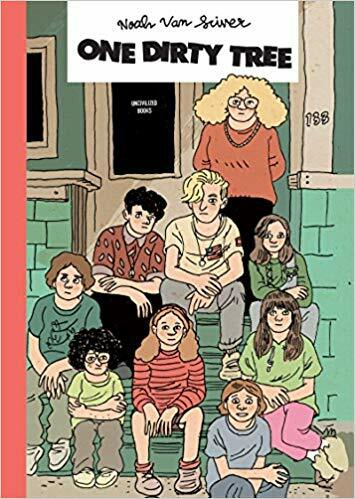 This is cartoonist Van Sciver’s graphic memoir about growing up poor, the eighth of nine kids, in a house with a twisted dead oak tree in the front yard. His family’s Mormon household seems to have centered around religion and comics. His older siblings took time to torture him a bit (ghost stories! ), and his father’s struggles with bipolar disorder affected everyone. 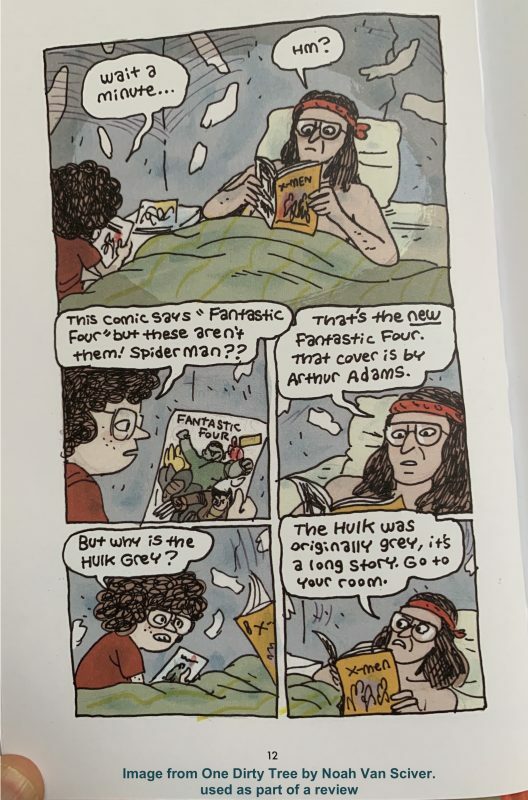 Half of the book takes place in present day, contrasting Van Sciver’s early life with his current girlfriend, a woman who is clearly not cut out to date a working cartoonist. My favorite parts are the unexpected appearances of non-comic art, both the bits Van Sciver drew as a kid and two beautiful, more realistic drawings of his girlfriend that really made me feel his love for her.